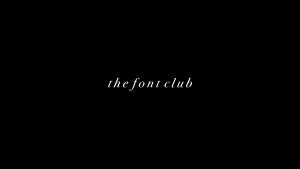 the font club is dedicated to the discussion, analysis, & production of fine typefaces. Lead by brothers Dante and Michael Joseph, the group released ‘satan’s tears taste like coffee milk’, their debut LP, in 2016. After a busy 2018, the duo is working on their folk-heavy new album, inspired by Of Monsters & Men, slated for release in fall 2019. The band is also working on a brand new live show, with new live musicians, to be (hopefully) debuted at PVDFest 2019.